Trailhead Location: The parking area is located off of FR 152. A high clearance vehicle is strongly recommended for driving on FR 152. Description: You begin hiking the Secret Canyon Trail. After you hike a little more then 1/2 mile, watch for the HS Canyon Trail #50 sign on your left. 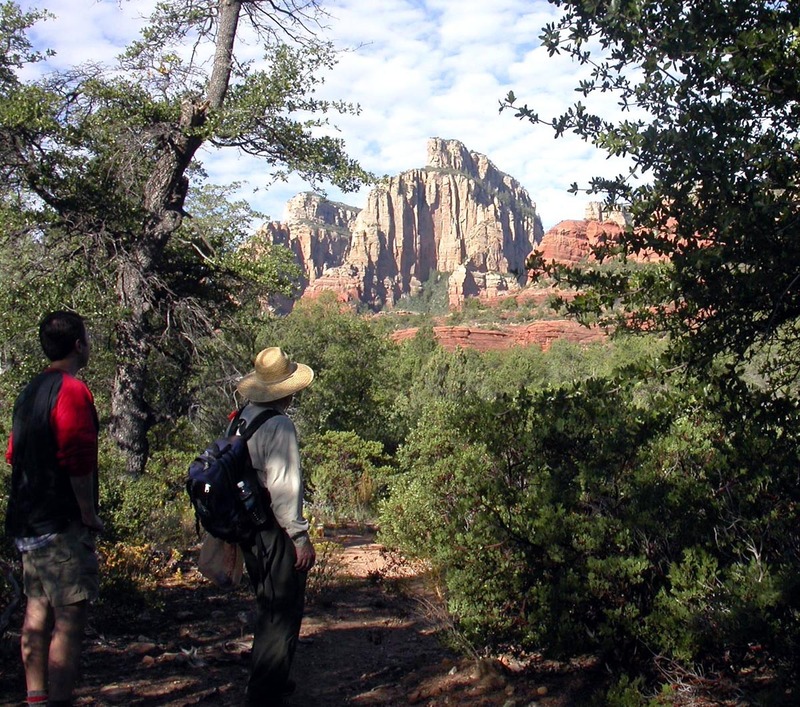 This 2 mile one way hike gently rises about 600 feet and provides good red rock views, although the forest you hike through obscures many of them. The name presumably comes from the early settlers finding lots of horse s**t on this trail. A good hike for the hot summer as there is plenty of shade.